I was very pleased when I stumbled upon this puck while browsing the MeiGray website. 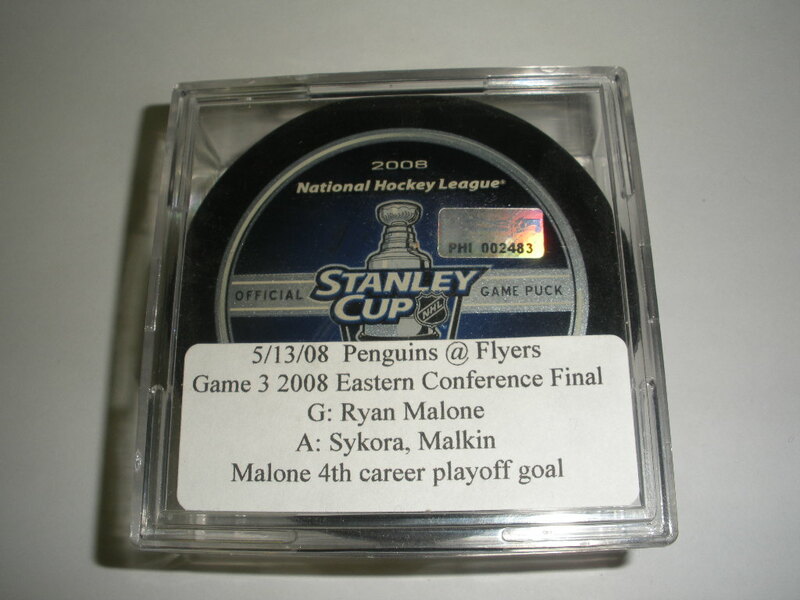 It happens that the MeiGray group, famous for their handling of many current NHL team's game worn jersey marketing, also handles the marketing of all goal scored pucks for the Philadelphia Flyers, being that their headquarters is so closely situated in Southern, NJ they are able to have a representative on hand at all Flyers home games. 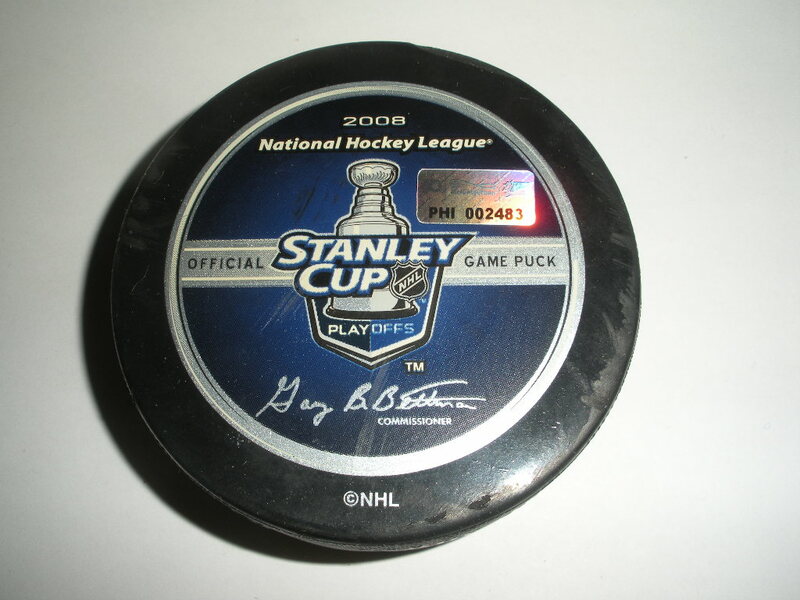 This is the puck used by Ryan Malone to score his 4th career playoff goal. The goal was scored at 9:58 of the third period and was assisted by Petr Sykora and Evgeni Malkin. 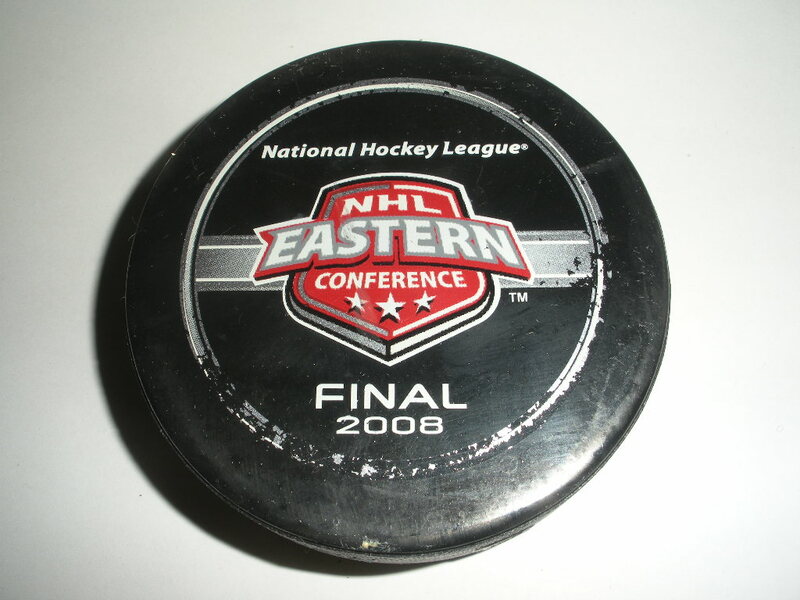 The game was played on May 13, 2008 at the Wachovia Center and featured the Pittsburgh Penguins vs.the Philadelphia Flyers in Game 3 of the Eastern Conference Finals. 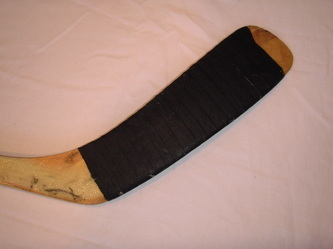 The Penguins won the game 4-1 to take a 3-0 series lead. This puck was plucked from the net immediately after the goal was scored and then handed off to a MeiGray official for registration and labeling with their unique hologram decal. 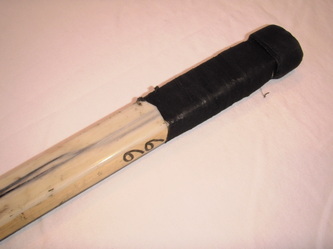 It was then cubed, labeled, and offered online via the MeiGray website. A unique piece of Penguins history that is a nice compliment to the game jersey Ryan was wearing when he scored the goal. I'm proud to own and display it. 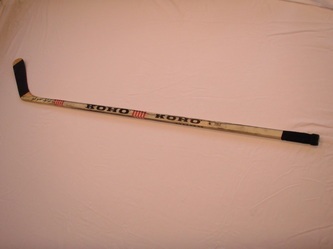 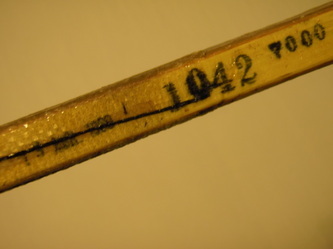 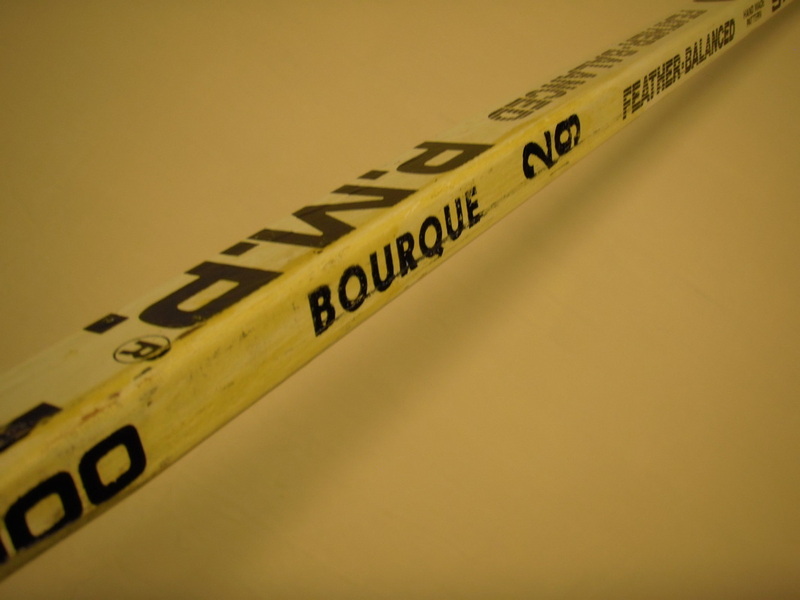 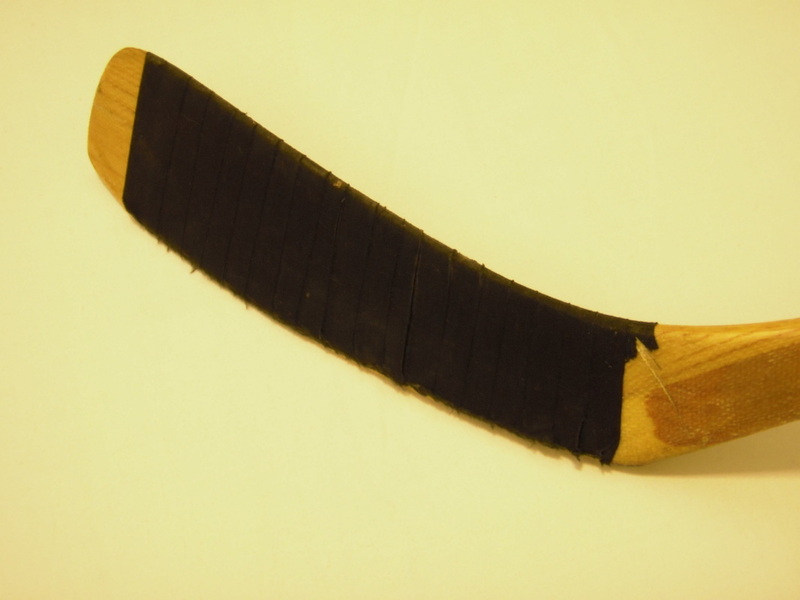 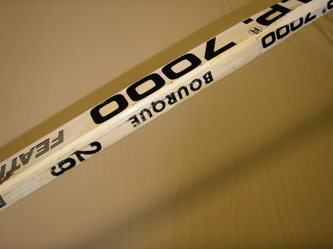 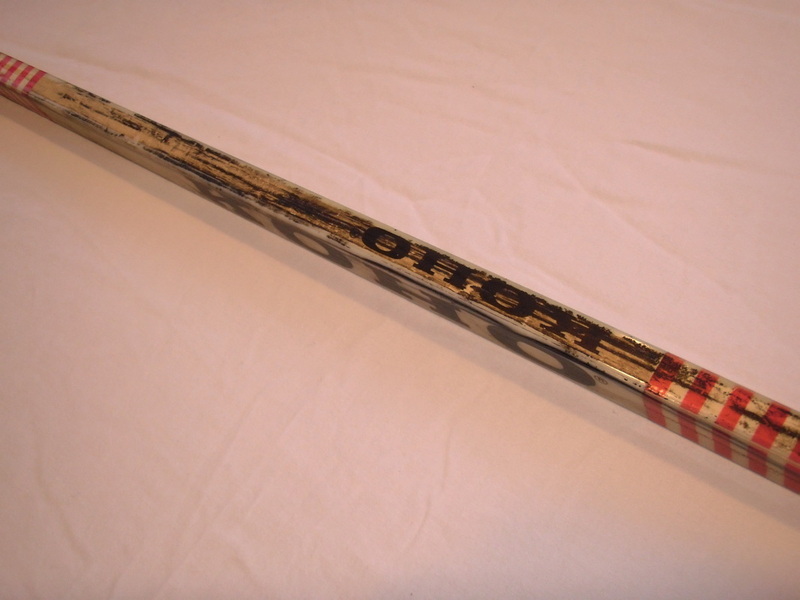 This is a1988-89 KOHO stick that was used by Mario Lemieux in a game on December 21st, 1988 in which he recorded 5 points, scoring 3 goals and 2 assists. 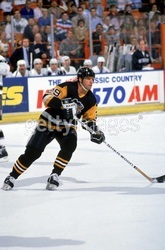 The game was played in Toronto's Maple Leaf Gardens and ended with the Pens besting the Maple Leafs by a score of 6-1. 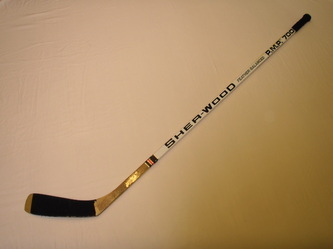 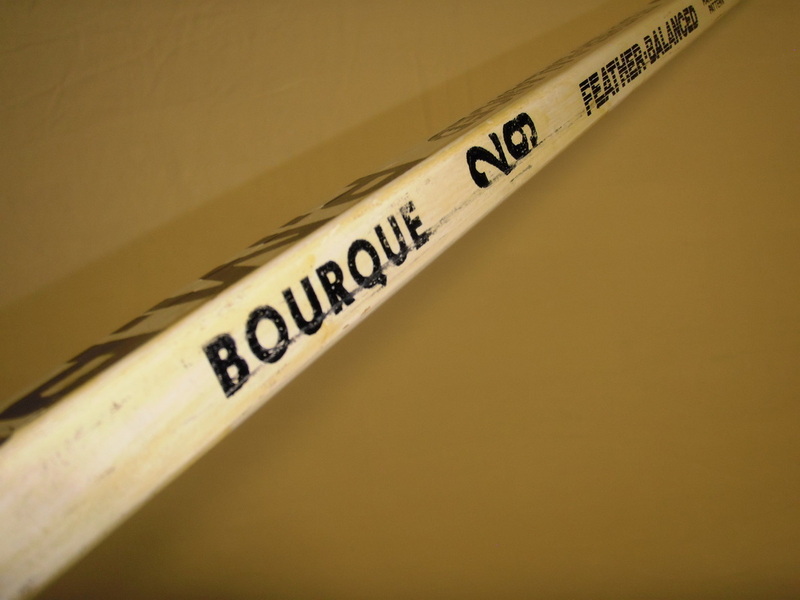 This stick was used during Lemieux's career high season in which he earned the Art Ross trophy as the league's leading scorer putting up an incredible 199 points scoring 85 goals and 114 assists in just 76 games. That's an average of 2.6 pounts per game, for the entire season! The provenance of the stick is such that it was received by Jim Salnek after the game on December 21st, 1988 as a personal gift from Mario after the game where it was given to him outside the visitor's dressing room. 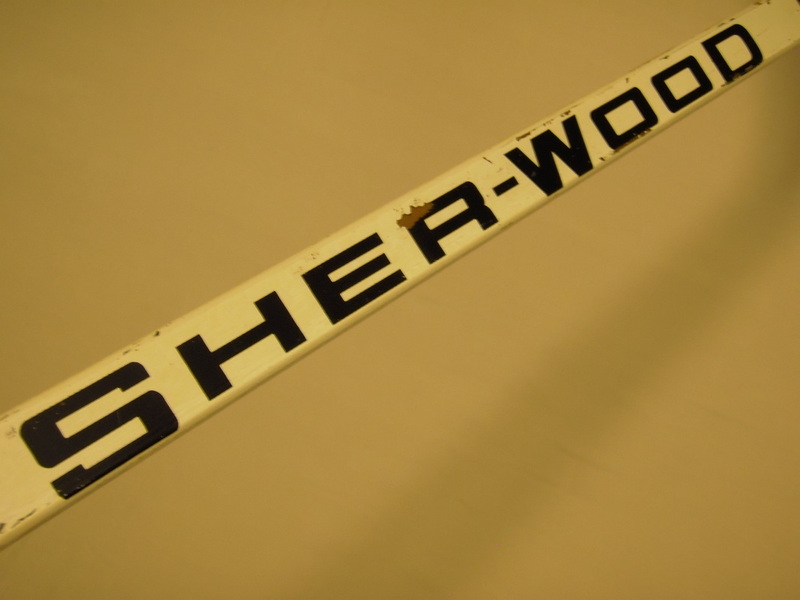 Jim was a teenager at the time and a regular "rink rat" at the Maple Leafs games. 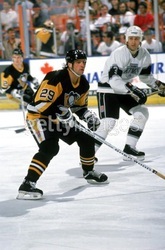 His mother Ellen Salnek was an administrative assistant with the Leafs and is listed in the Leafs 86-87 media guide. Her position allowed Jim some behind the scenes looks at the visiting teams. 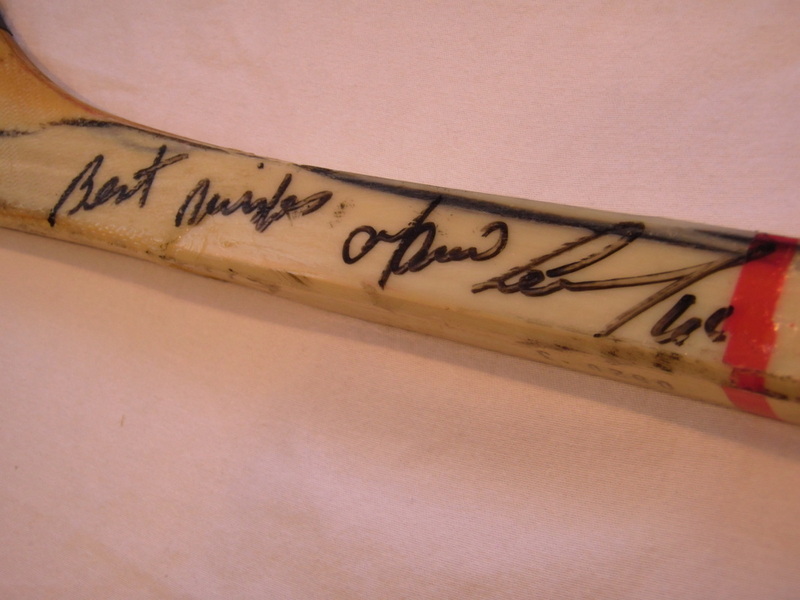 Lucky for Jim that day as he scored a real piece of history right from the hands of a legend. The condition of the stick is solid and without any cracks, and it shows excellent heavy game use on the shaft. 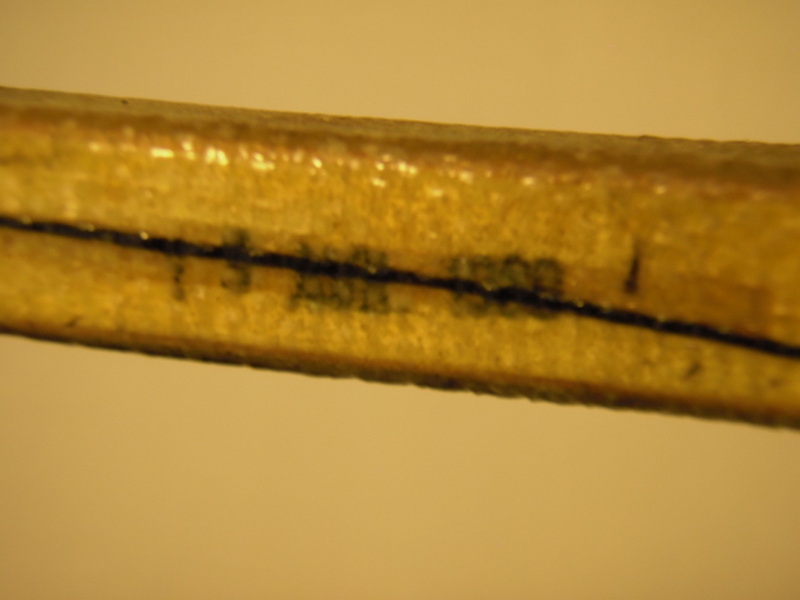 The knob and blade still retain their original tape jobs and the blade exhibits game use in the form of puck marks and wear along the bottom from the friction of the ice surface. 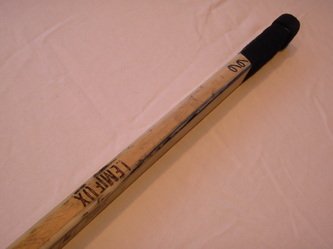 The factory applied "Lemieux" stamp is present at the top of the stick as well as the trainer added "66" in black Sharpie just below the knob, as was customary to allow him to quickly identify and pull one of the bench in case of breakage during gameplay. 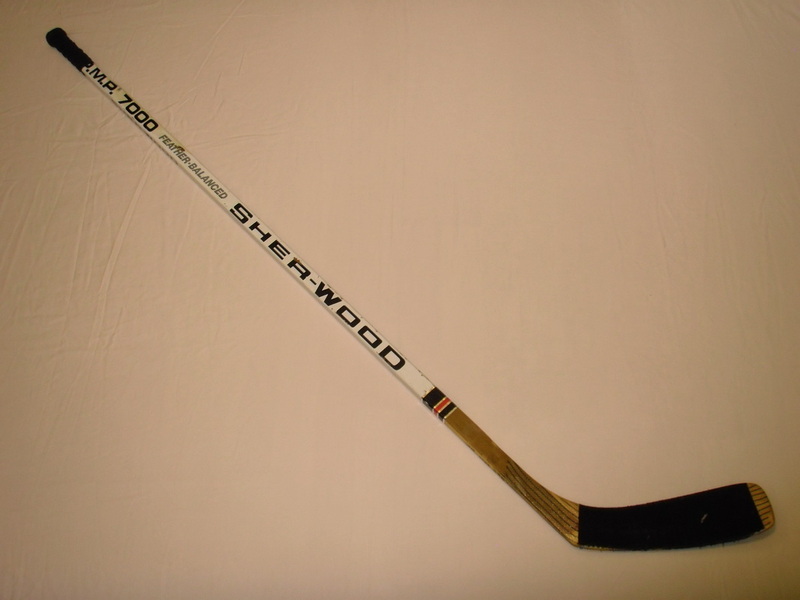 The stick also includes an early era fully legible Mario Lemieux signature on the shaft just above the blade that reads: "Best Wishes Mario Lemieux 66." 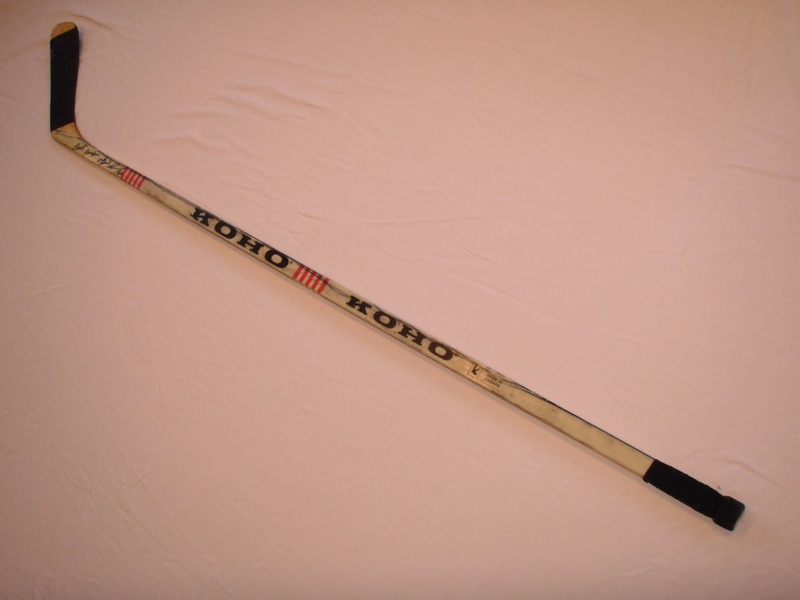 Koho factory code 0820 3 is stamped on the bottom lower shaft portion of the stick. I have never seen a Lemieux stick of this era that showed as much use as this one, let alone a 5 point hat trick stick with personalized autograph that it a solid 10/10. 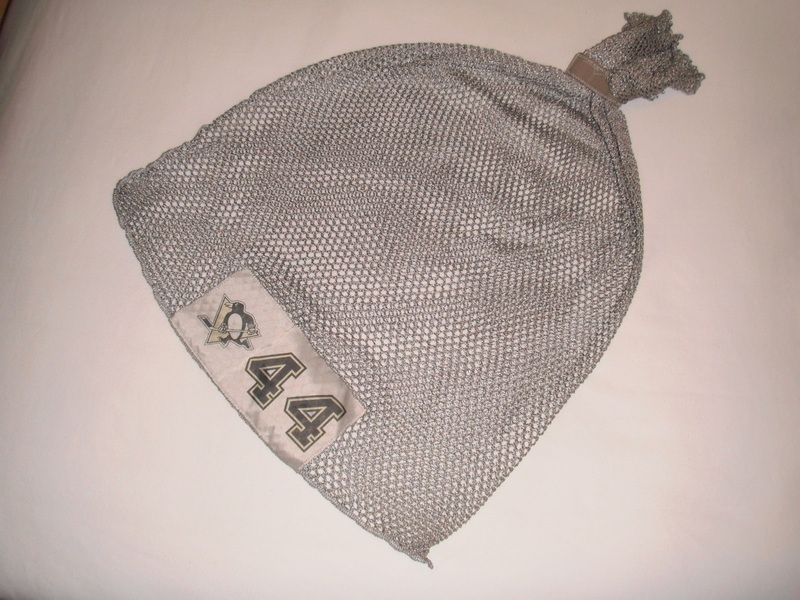 A substantial piece of Penguins history for sure, and one that accounted for 5 of Mario's 1723 career points and 3 of his 690 career goals. This one is the only game used stick currently in my collection, and one that won't be leaving it anytime soon. It may be more appropriate to call this a "wand" rather than just a stick, as "Le Magnifique" certainly performed his magic with it. 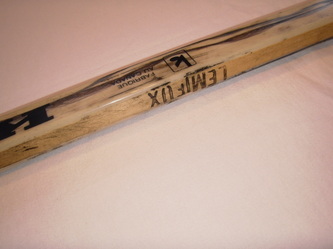 Obtained in a 3 way trade from a Winnipeg, MB based collector who had owned the stick for years. 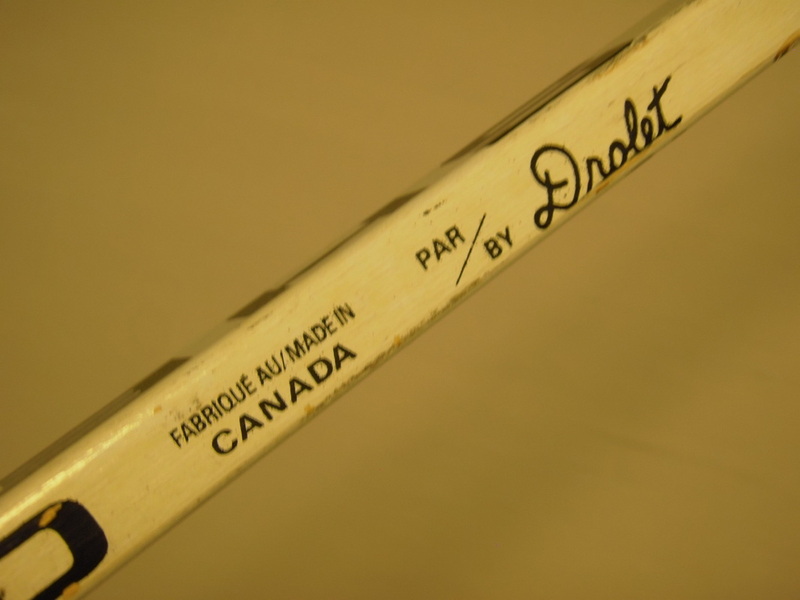 I waited patiently for 24 days for this stick to make it through foreign customs, over the Canadian border, and to my doorstep. I wasn't sure it was ever going to arrive after it had been seemingly lost for 17 days with no updates to the tracking whatsoever, but it did finally arrive and when it did I was like a kid at Christmas. Thanks go out to collectors Greg Falk and Joe Bestic for participating in the trade that allowed me to bring this stick home. 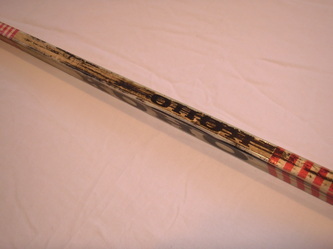 This is one deal I won't soon forget. 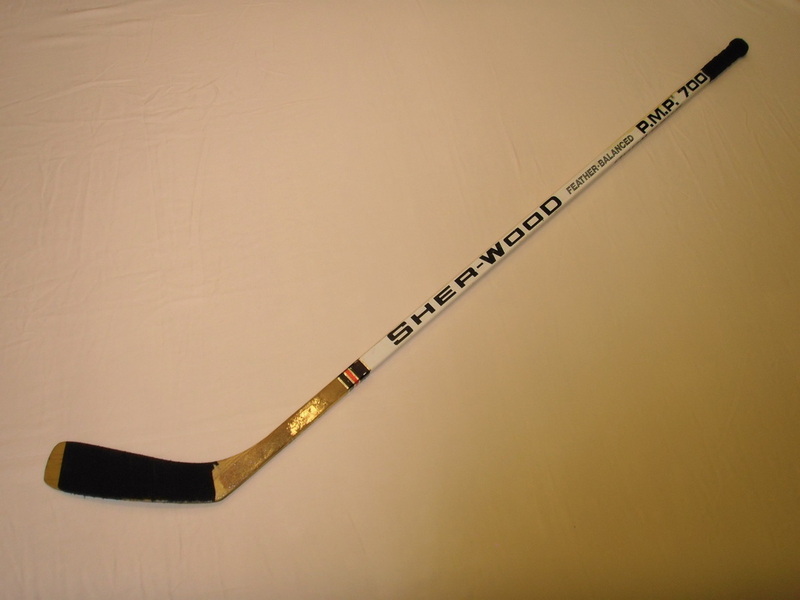 This is a game used Phil Bourque Sher-Wood P.M.P. 7000 stick from the 1989-90 season. 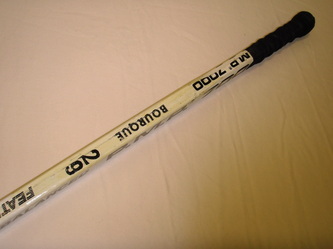 The stick shows great use and still retains its original tape job on both blade and grip. 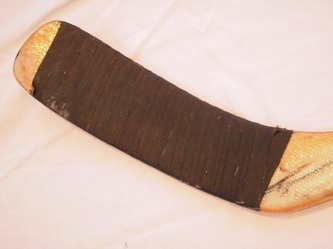 It has a neat rope type grip tape job and shows lots of wear to the blade tape including wear from shooting pucks which is very evident in the wheelhouse portion of the curve. 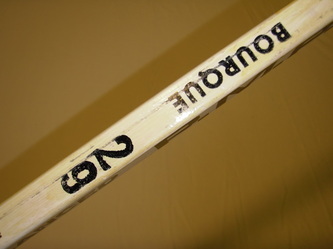 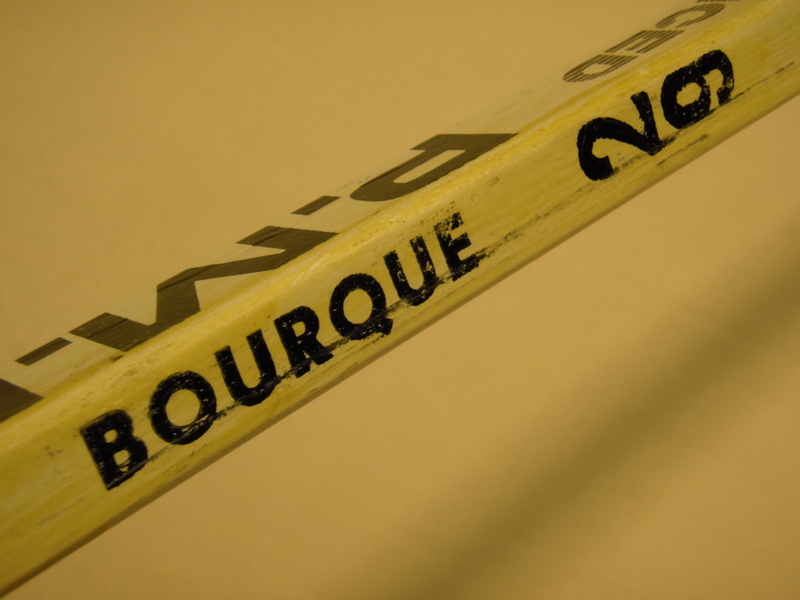 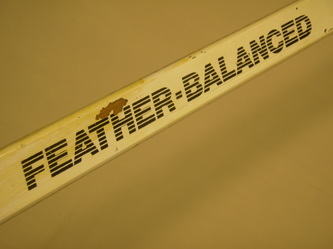 Stick was obtained via ebay from a local fan who has had it since it was given to her husband after a game in 1989-90. 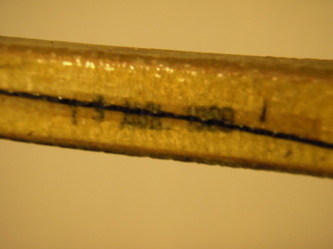 Has "BOURQUE 29" ink stamp on the upper shaft and a born on date stamp of August 1989 on the lower underside of the shaft near the blade. Not too many vintage "Old Two-Niner" sticks in the hobby. 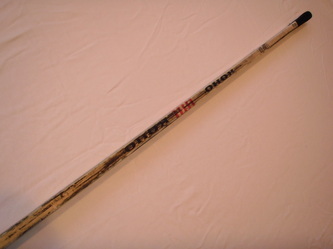 I am very pleased to add this one to my collection. 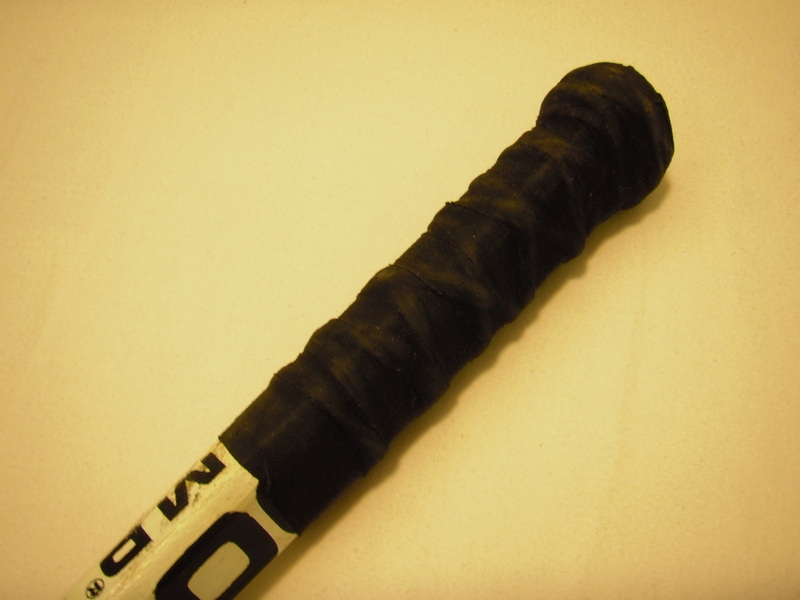 Loaded with game use and aesthetic appeal. 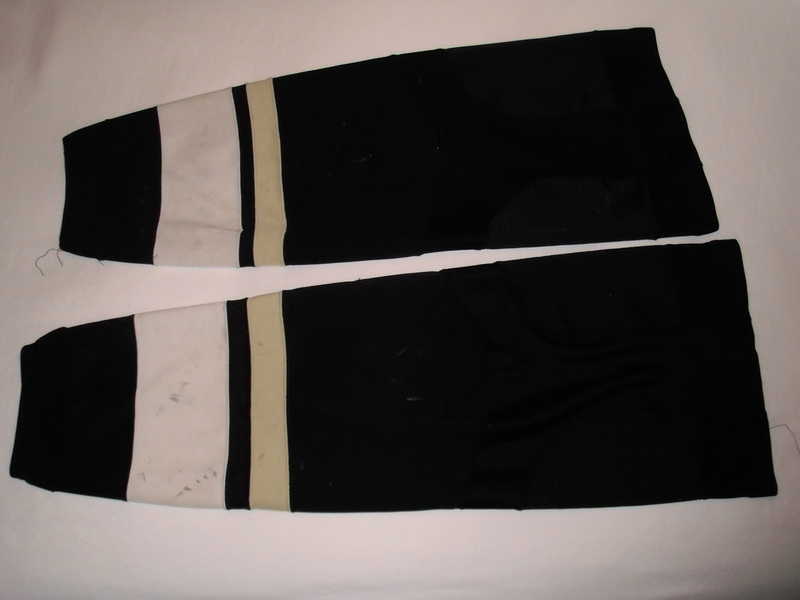 Here is a pair of well worn Pens game socks. Made of several individual panels and at least 2 different types of fabric, RBK found a way to redesign even the simplest of hockey garments. I have a pair of these I also wear in pick up games and must say they do fit a lot more tightly around the shin guards and do allow you to rely less on using tape to keep them in place. 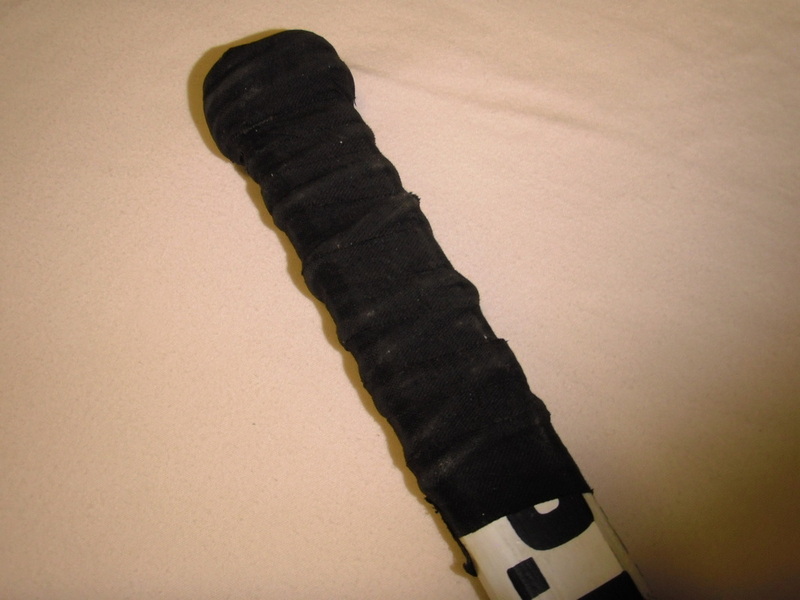 This pair sized XL shows lots of wear in the form of puck marks and team sewn repairs. 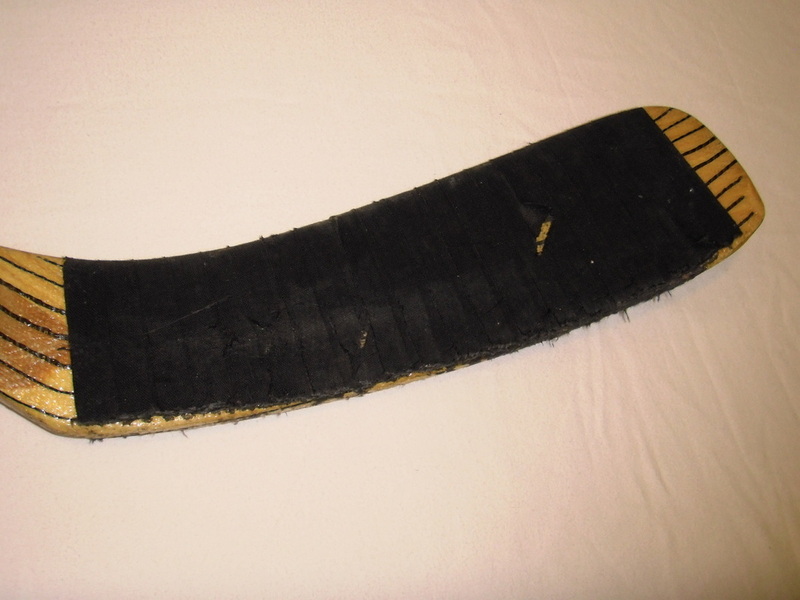 Looks like a shot blocker wore this pair. 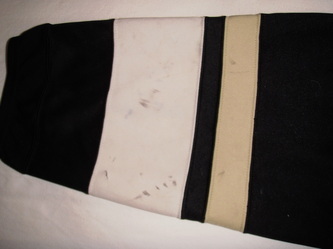 This is a team issued player specific laundry bag for putting personal items in that will be washed by the equipment manager. 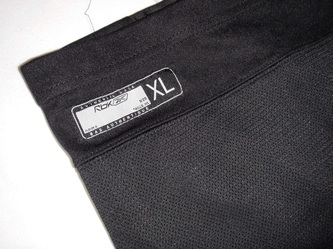 Each bag has a player specific number and logo tag attached that indicates who's personal belongings are inside. 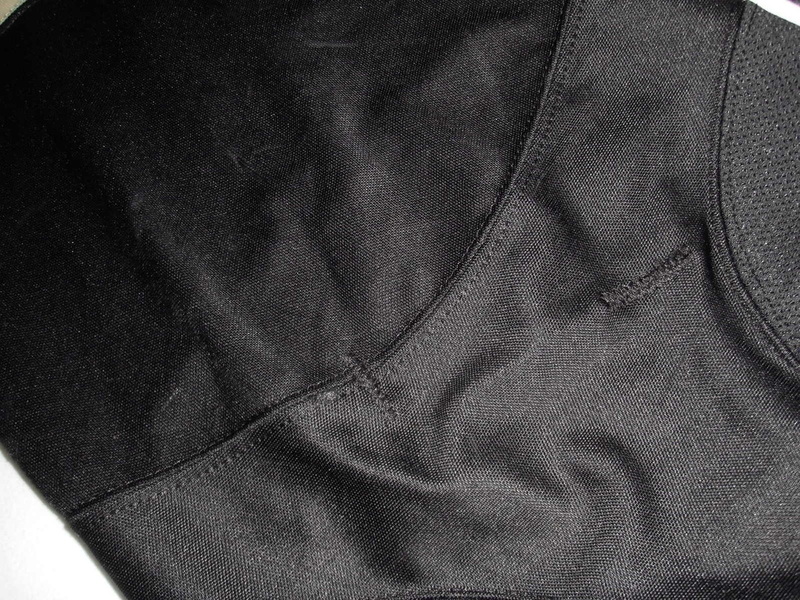 This is a handy way for players to allow Dana or the staff wash their individual items without getting them mixed up with other players' stuff. Heavily saturated with black bleed off from game jerseys and other items it's undoubtedly been washed with many times. 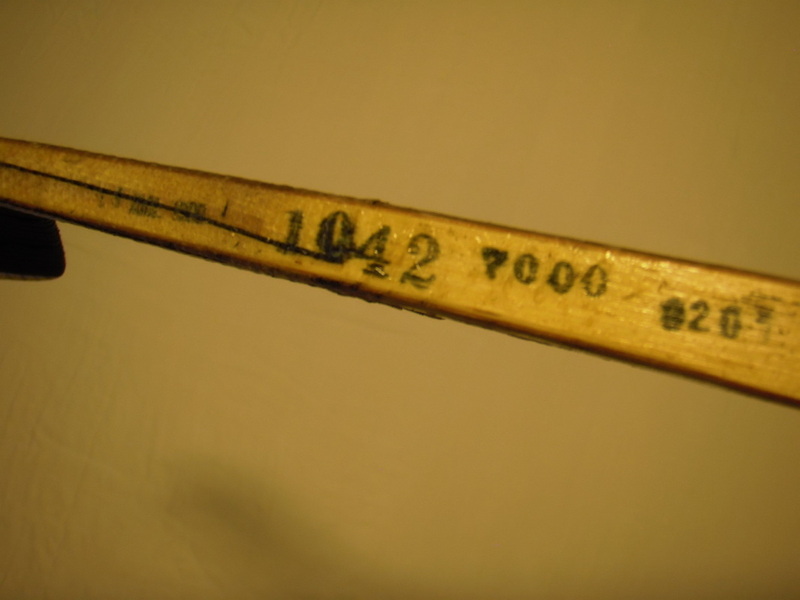 An odd item, but sort of cool because of the personal nature of it. Yes Brooks' dirty undies were likely in this..HAHA! 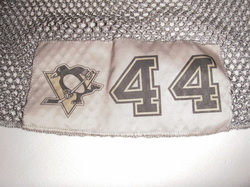 Player number tag is sublimated onto a twill rectangle and sewn to the bag. 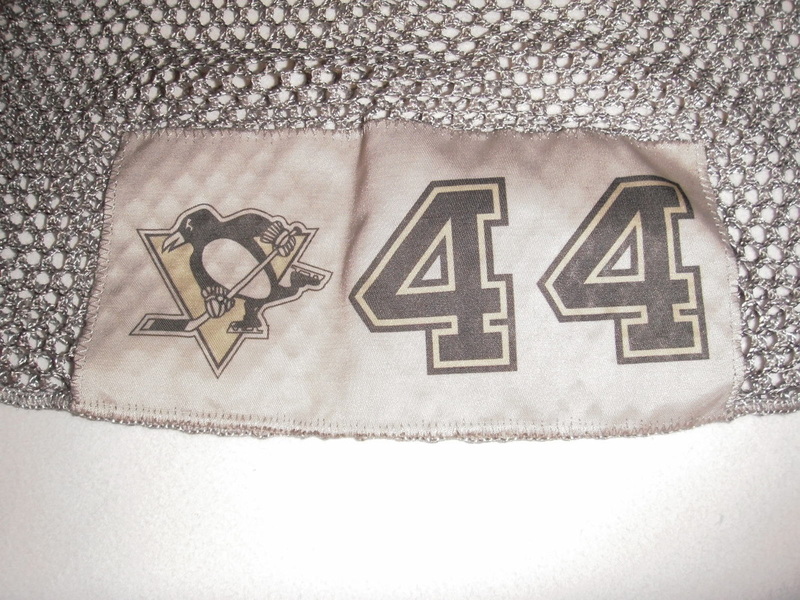 I'm assuming these are prepared by Cutting Edge as well as they very much resemble a game jersey set tag.